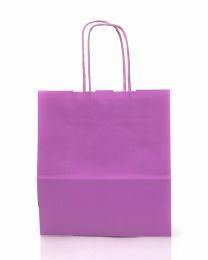 We stock twist handle pastel paper bags in a variety of sizes. Both elegant and sturdy, these pastel pink carrier bags are suitable for gift shops, boutiques and other small businesses. (We also sell tissue paper in a variety of colours at great prices – a perfect accompaniment).